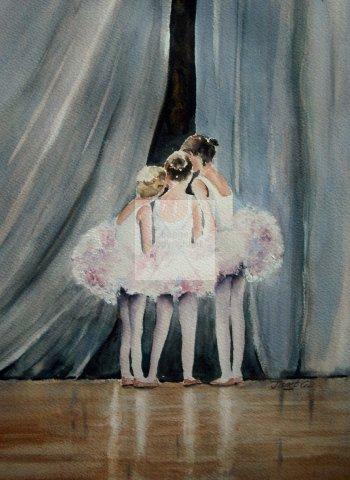 'Little Ballet Dancers' is a signed, Limited Edition (100) Fine Art giclée print. Hahnemuhle German Etch archive paper of 310gsm has been used to create this superior quality giclée which means not only does it look as good as the original, but it will last as long too with no fading. The image is printed on to A4 size and mounted with black core mount card with an approx. 5" border around the image.